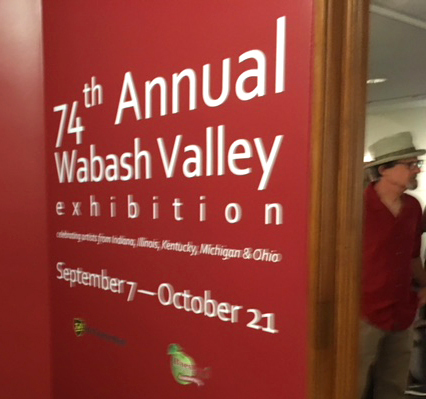 Last week I was out in Terre Haute, Indiana to judge the entries for the Swope Art Museum's 47th Annual Exhibition of artworks from the 5 state region. It was a sweet trip for me as I've long had a special place in my heart for the Swope. Some of that stems from the 30 painting strong exhibition of my work the Museum held in 2017. 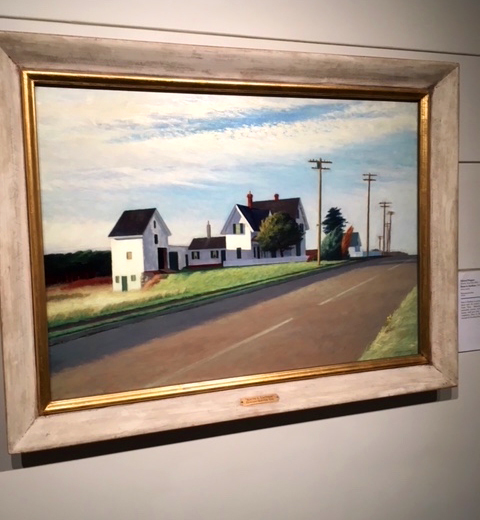 The Swope hung my big oil painting Morning at the Route 6, Eastham House next to the painting Edward Hopper made in 1941 of the same house and buildings. As Hopper was the biggest single influence on my direction as a painter, this was a huge honor for me. (How can I not love this museum after that). To the Swope's credit, it has maintained a juried regional exhibition for many decades, affording artists from the Midwest an opportunity to have their work accepted and hung in a museum that has a striking permanent collection. That connection with the work of artists who have gone down the path before us is a terribly important conversation. It reinforces the meaning of artworks made in our time. 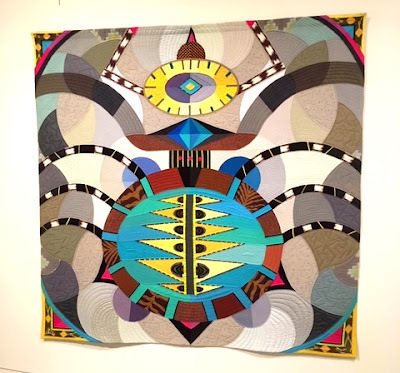 Juried art Exhibitions like this are unwieldy beasts. Going from one artwork to another you'e bounced from classical realism to explosive nightmare to the outrageously funny. You can feel like a ping-pong ball. But it's a good thing to be shaken up once in a while. To be alive, to be able to respond to the world, to have relationships are all remarkable, and all too temporary things. We would be fools not to step back and celebrate the sensual, beautiful and even the strange aspects of our lives. Visual artists have a critical job of finding the unexpected forms and unanticipated points of view that convey to us what living feels like in our time. When they succeed they give us tools to feel more grounded and more whole. 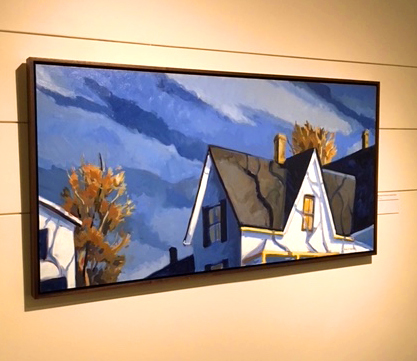 I want to thank all the artists who entered the juried exhibition this year. If your work was included, congratulations. If your work was declined I hope you enter again new year (maybe the juror will have more sense than I did). 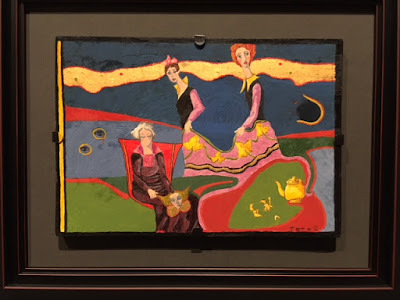 When I first arrived in Baltimore from my MFA Painting Program at Indiana University I received the strangest complement from a New York City painter. “How’d you learn to paint so well in the Midwest?” he asked. Now I love New Yorkers (I’m married to one). 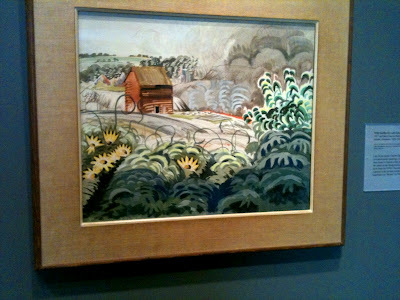 But if our misinformed friend from Manhattan could see this show he’d see artists in the Midwest are as thoughtful, as inventive, as responsive as artists anywhere. Be proud of what you are doing. 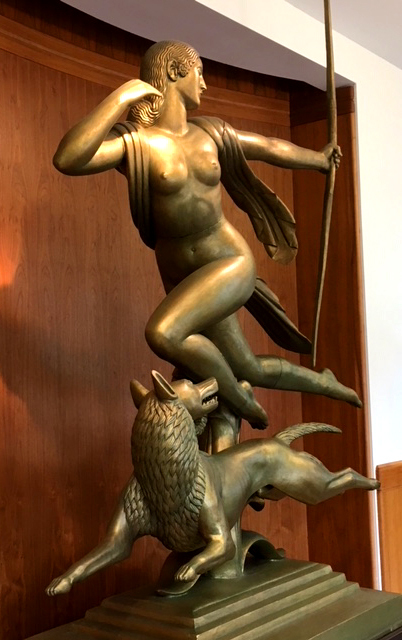 in the lobby of the Swope. It looks fantastic in this spot. I will have a second installment of this blogpost in a day or two. It will feature additional photos of some of my favorite pieces from the Swope's permanent collection that were on display while I was there.